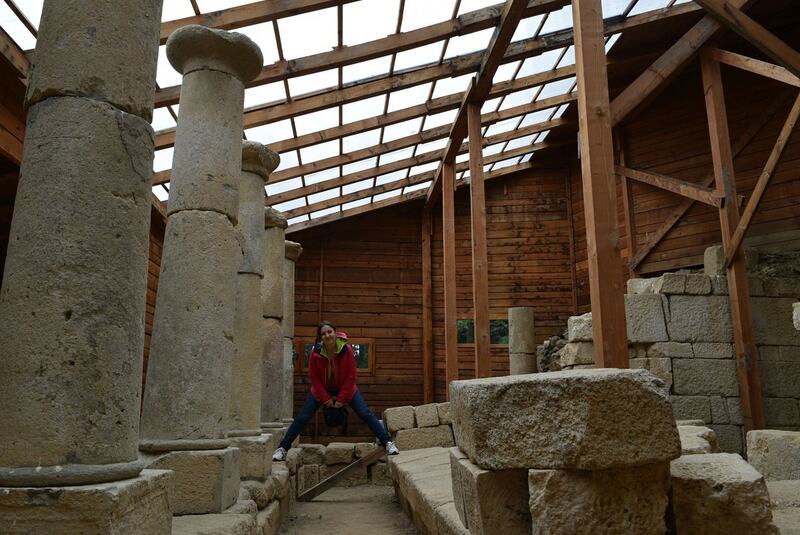 Hissarya - hot springs and roman baths! - Bulgaria welcomes you! One of the best places you can fully relax in Bulgaria in one of the numerous mineral water resorts in the country. Hissarya is one of the best of them – so much to do, both inside this small resort city and around! Here is what to do in this resort, how to reach Hissarya, where to stay and what else to do around. The best way to reach Hissarya is by car (see a recommended rent a car option for Bulgaria), but you may as well catch a public bus from Plovdiv to Hissarya (more on public transport in Bulgaria). The buses depart from the the South bus station in Plovdiv (Avtogara Yug). How to reach by car: If you are travelling to Plovdiv on the Sofia-Plovdiv highway, from Plovdiv head north for about 50 kms (road is good) and you are there. A more picturesque option is to travel to Hissarya from Koprivshtica. The distance is a little over 60 km, the road is good, passes through a mountainous area / small villages (not much traffic) and the views are simply stunning! Why visit Hissarya and what to do there? It’s the perfect place to relax. 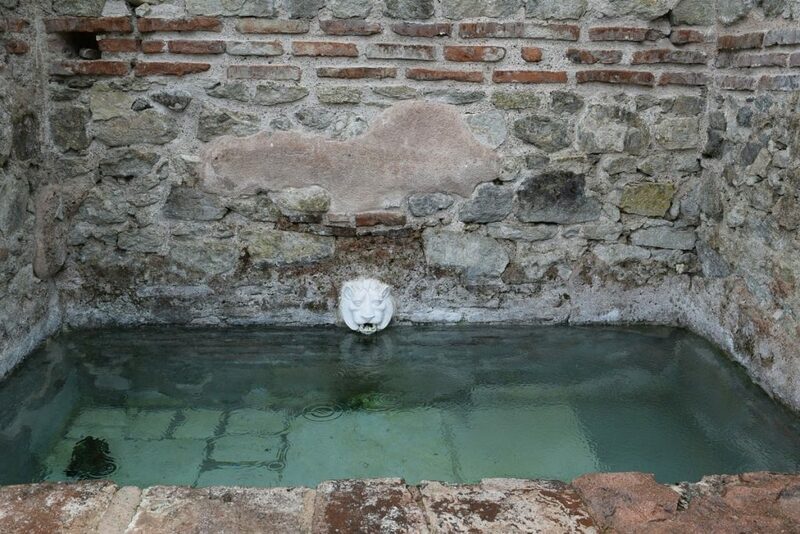 Many hot mineral water springs, open and closed public hot mineral water pools, free mineral water fountains just in the center of the city, amazing Roman city wall, Roman baths ruins and so much trees and flowers in this city! No matter where you stay, hotel or local guest house, you may visit for a small fee one of the open (summer only) or closed hot mineral water pools. Some of them are located in hotels, others – in special pool complexes with pool bars, kids entertainment, etc. Bring a few empty bottles with you and fill them out with fresh mineral water from the fountains in the center. There is also a special fountain where they say the water is good for the eyes (you can see people washing their eyes with it). After a relaxing day at the pools, stroll around the old Roman city walls built by Emperor Diocleziano. 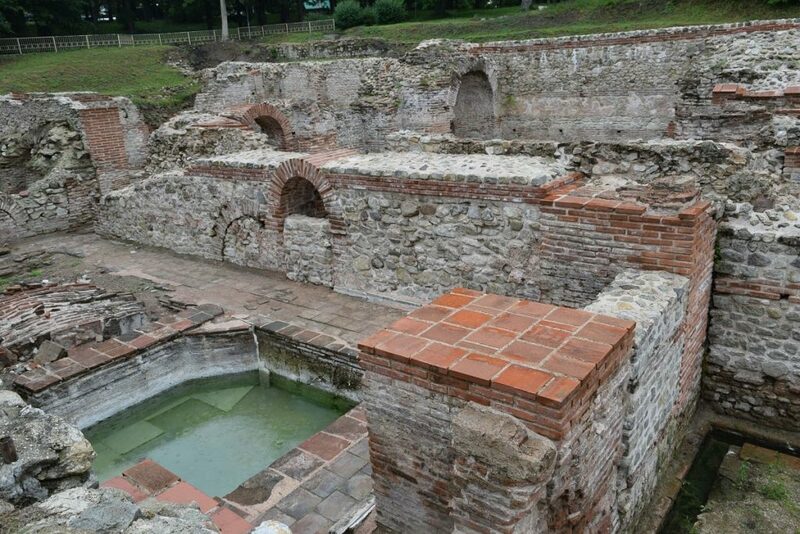 Appreciating the hot mineral pools in the city, the emperor built here, in 3rd-4th century AD a huge Roman thermal bath complex and many water fountains. The Roman thermal baths. 17 centuries later, there is still hot thermal water running in the bath pools! He also circled what used to be a resort city for the Roman aristocracy with city walls. The walls are now quite well preserved, there are alleys and a park just around them. The view is particularly impressive at night, when the walls are well lit-up. Amazing for summer evening strolls! 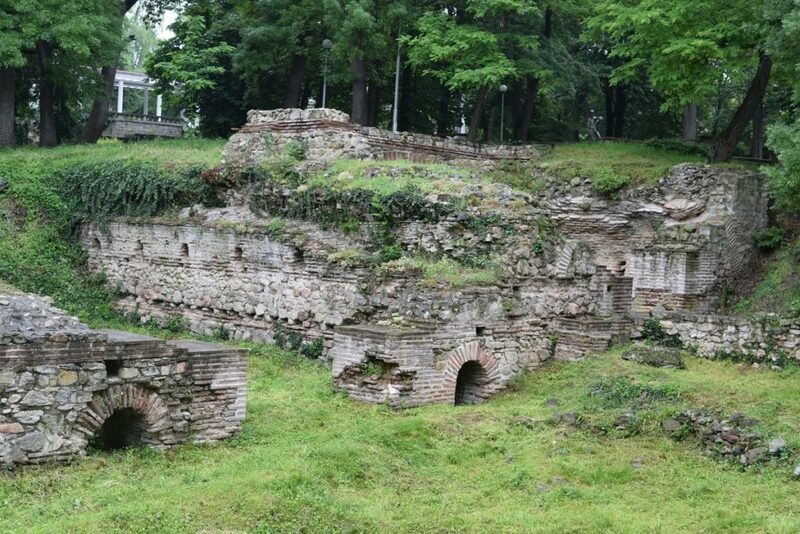 Aside from the ruins of the Thermal baths complex and the city walls, one may also visit a Roman tomb located in the outskirts of the walled city. A pleasant path in the city park takes you to the tomb so make sure to visit. Inside the tombs you can see remains from the original flower wall frescoes – quite faded from the time, but – still visible! I would advise to start exploring the roman city ruins by visiting the archaeology museum first. 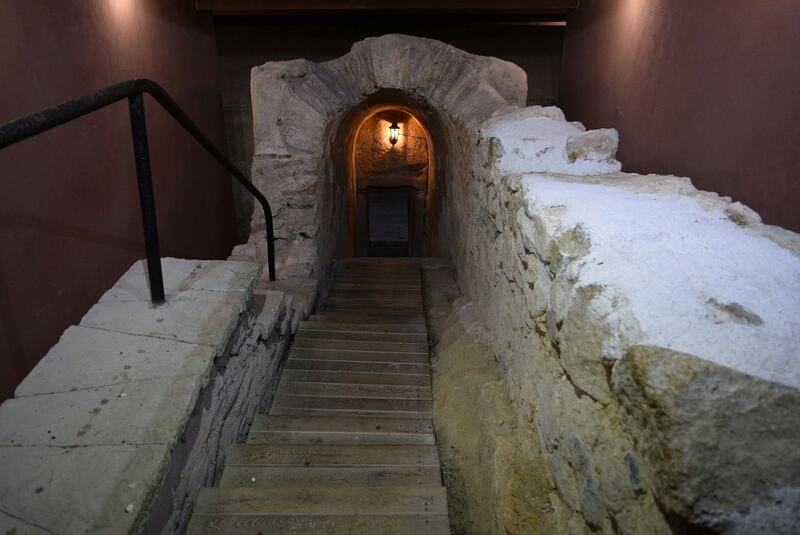 Get a combined ticket for the museum + roman baths + roman tomb and visit them all. 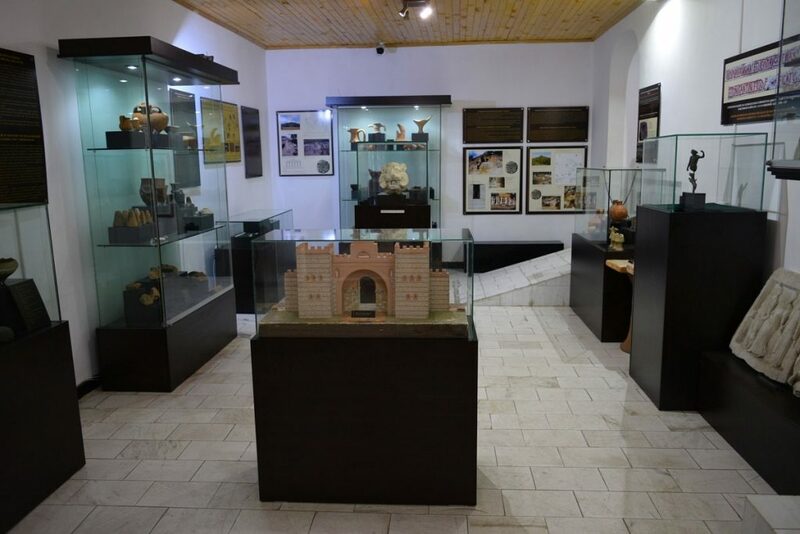 The museum has interesting artifacts found during the excavations of the ruins. If you book a guided tour for the museum and /or the thermal baths, you are bound to enjoy the ruins and artifacts even more, and get a better idea of the rich history of the area. What else to visit around? There’s a lot to see in the region. Hissarya is a small town but offers many accommodations – from private guest houses to family hotels to big hotels. 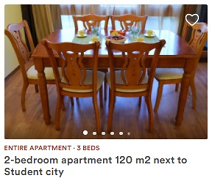 All of them are within 5-10 minute walking from the center of the city. 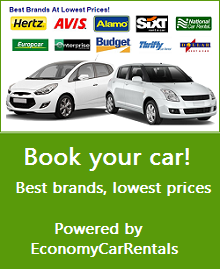 Many of them are listed on booking.com. Enjoy your relaxing spa holiday in Hissarya!